After nearly four years of waiting, the virtual-reality age finally kicked off today with the release of Oculus and Facebook’s highly anticipated Oculus Rift headset. The device, which is available for order through Oculus’ website, costs $600 and comes with everything you need to kiss the real world goodbye. Well, everything except the high-powered computer you’ll need to run the Rift, though the ‘Oculus Ready’ program should help you get one at a decent price (for a fancy PC). As part of his company’s launch festivities, Oculus founder Palmer Luckey flew to Alaska to hand deliver the first Rift to one lucky consumer. A handful of early reviews of the headset have already hit the web and they seem to be largely positive with regards to the overall experience. Our own review is coming soon. Many reviewers laud the Rift’s ability to truly immerse them in virtual worlds, but some reviewers point to how the Rift can make you feel isolated while wearing it due to the fact that you can’t see or hear anyone around you. Others took issue with the fact that the headset can be a pain to put on and take off while wearing glasses. There’s also the fact that, since the Rift doesn’t include a forward-facing camera or a pass through, once you put on the headset you essentially become blind to the outside world, which makes it difficult for users to do things like grab a nearby drink or even pick up the included Xbox One controller. Naturally, the Rift’s steep $600 price and sky-high PC system requirements will limit the number of people who can initially purchase the headset, as will the fact that new orders won’t ship until July. 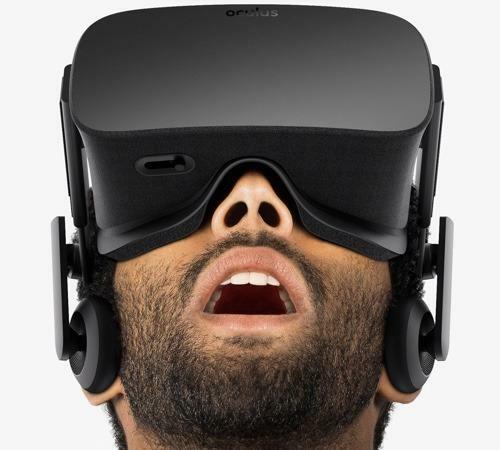 But it looks like the Oculus Rift is just the product we needed to kick off the virtual-reality movement. And don’t forget to stay tuned for our full review of the Oculus Rift in the coming days.